The Normans may have been known as the master castle builders, with a massive castle building programme taking place after 1066 on the orders of William the Conqueror, but that building programme was nothing in comparison to the construction programme undertaken by Prep IV during the recent half term holiday. This morning saw a vast array of castles of all shapes and sizes being brought into school. 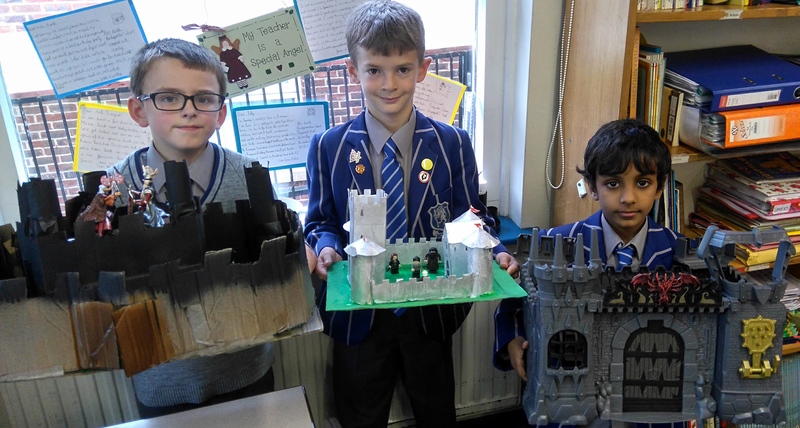 Kynan, Zack and Ziyad have theirs on show here, but watch this space as we try to bring you more of Prep IV’s creativity as the week progresses.